Order in the next 1 hour 6 minutes for delivery on Monday, April 22. Order in the next 1 hour 6 minutes for delivery on Thursday, May 2. 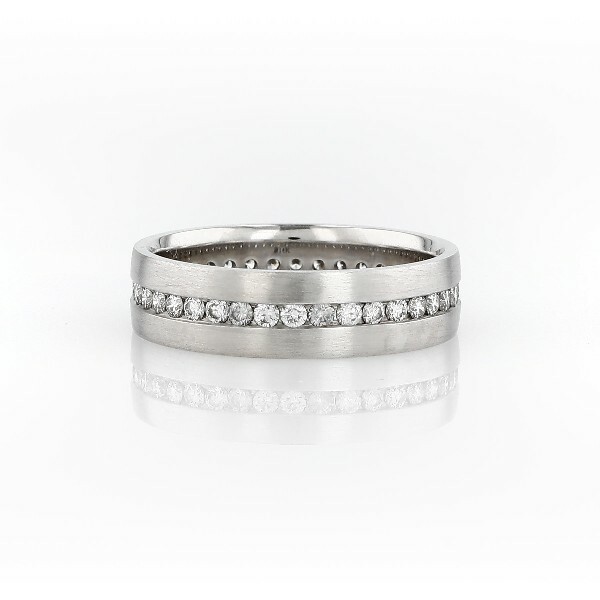 Subtle in brilliance, this wedding ring is crafted in 14k white gold featuring a center band of round diamonds.